The Name Ilona, from Ilona's Reflecting Pool, a woman's page for women. Perhaps it was the name, or perhaps it was just my nature, but curiosity and machinations of the mind led me along an investigative trail. Not merely into the definition of the name which began the whole venture, but into cultures, history, and the subjects of etymology and linguistics. And here, is the story of it all. My name is an unusual one in American culture; and as such, it is often positively remarked upon, misspelled, mispronounced, and requiring attention from those addressing me. So, it is not surprising that I have had a fascination with its meaning. It has become a bar by which I judge the quality of baby-name books and name lists. If the author does not include the name, Ilona, then I can only conclude a lack of scholarship on their part. There was the tantalizing knowledge that this was not only a "name", it was a family name, and one which was popular in the Hungarian heritage. It meant something, stood for something, greater than my own unique self. What could that be? And what import could that hold for my destiny, if any? In other cultures, a name often holds much for an individual. In fact, in the study of the Bible many insights may be gained by name meanings. The Hebrews always had a meaning for their names, and their language is very picturesque. When naming an animal,for example, they used descriptions of qualities, which in turn helps to identify the animal in question. Sometimes the people of cultures were expressing qualities they valued when naming their children, and sometimes names of individuals changed as they exhibited certain qualities. A name is a most personal identifier. Almost all name books identify the name "Ilona" with the name of "Helen". The further I look into things, the less I might question that. And yet, there are some things to look at in this. The name Helen is a "Hellenization", a Greek version of the name. In other words, it was the Greek interpretation of a name which perhaps originated within a different sort of language. The name 'Helen' seems identified with the Greek god "Helios" representing the sun, and usually interpreted as "Bright and shining". One of the main reasons I questioned the identification of "Ilona" with "Helen" is the fact that it turns up in both the cultures of Finland and Hungary. To me, that suggested that perhaps it was derived from within the language group of the Ugric/Finno forms rather than the Indo/European one of Greece. Although the Greeks named people after their gods and goddesses regardless of the sexual identification, the ancients didn't usually correlate the sun with femininity. To further complicate the quest for the name meaning is the story of Helen which is entwined with the city of Troy, found in the land which is now Turkey, a country whose language is in the Ugric/Finno group. So upon a circuitous quest I went. The 'na' ending in these languages had the connotation of" having the qualities of " or back in the Sumeranian "to be with". I saw a possibility that it might be the usage of the end portion of the name Ilona, particularly in the way a Hungarian pronounces the name: E'-LOH-nah ... the nah being a short end sound, not drawn out as other similar names in more western Euro countries. The "Ilo" part had several possibilities, but since the idea usually associated with the name was of beauty, I found the ideas of the Hungarian "illat" meaning fragrance as close, and they also have an "illő" meaning fitting or decorus. Within the Finn definitions for the word "ilo" are ideas of bliss, delight ,satisfaction, rejoicing, all of which could be reactions to a fragrant smell or perfume. The Estonian word for perfume also has a form very similar and could be pronounced like "Ilona". All this led my own conclusions to identify the feminine name "Ilona" with a meaning more identified with the delight of a fragrant perfume rather than dazzling the eye, as the name of Helen would indicate. So now to end with a sound byte useful for a name definition book, how about "Ilona- one who has a delightful perfume of joy"? I'll go for that, since I think fragrance is one of the enjoyments of life. Sometimes I can't believe all the eye-straining lists of words I pored over, but it does take one into the history of origins of language and nations. The migrations and settlements of those that became the Hungarian people ranged across the Asian steppes to possibly be a part of the Scythians, and traces of these peoples seem to be within the Carpathian mountains retaining an unusual language formation to this day. The confederations of early times, and even some of the values of cultures are traced within names and languages. My dad grew up around the lakes, where a a number of Finns immigrated, and states " They are the hardest working, toughest people I know"; and the history of their land and that of Hungarians are of people who survive in spite of the toughest of circumstances. Not always the wisest, but very brave people. People who have stood against the armies of empires, at great cost to themselves, people as unique, complex, and eccentric as their languages. nä =to be with /Sumerian "n., human being; incense"
íl, íla, íli = to carry; deliver; carrier; etc. -Sum. Now to end on a note of further speculation, years ago within a fairly extensive book of names (which I now forget the name of) the name Ilona was interpreted as meaning "Beautiful Spinner". None of my sources turned up anything similar,so it remains a mystery whether that could have highlighted any other shades of meaning. Perhaps the fact that the Magyars were a herding nomadic people,along with the long association of the name with "beautiful" may have inspired the author of that definition? In further reading on Hungarian and other fairy tales, especially in Eastern Europe, the fairy folk were often identified as those who interfered or helped with household duties such as spinning or milking. I could guess that the spinner and the fairy were the same person, and that the definition chosen for the name derived from one of the old fairy tales. And how might I have been different, as a person, if my parents had named me "Jane"? ...would the rose, by any other name, have been the rose that we now know?....and could this lead to an essay on the Latin nomenclature of plants? ...Let's all hope not. The queen of the "nymphs", who were often associated with heaven and wet places, mountains etc., was the beautiful "Tündér-Ilona", who often was represented by the swan in Hungarian fairy tales. Perhaps a variation of the Parthian and Mesopotamian NANA or Sumerian goddess Dingir-INANA, the daughter of the Moon, who was the young goddess of the heavens and also at times was warlike, and a seductress. Sometimes she is called szép-aszony meaning beautiful queen, in Hungarian. (széép means beautiful, asszony is a title for wife now, but was also for "queen"). It was sort of a weird coincidence that I had chosen "Reflecting Pool" and the motif of a swan for my website. Although the swan was used earlier in my designs. When you have an unusual name, it is easy to wonder along with those who ask you: "where did you get that name" and does it have a meaning? This page was written for my old Squidoo pages, it will reside here and the coding will be cleaned up. I'm Hungarian by descent, and my name is Ilona. Those two facts are linked and provide the basic reason to share this story of the investigation of my name with you. Names have meanings and at times people attach great significance to their names. For some, the name of a child portends their future, or it may designate something special within the child or their family. It just might represent the hope of the parents. There are many reasons a name may be chosen. In my family there were a number of the girls that were named Ilona: my grandmother, my aunt, a cousin, and myself. Both my cousin and I named one of our girls, Ilona. In the mainstream of America, though, this name is not all that common, but people tend to react positively to it. Perhaps that is one reason I was quite interested, for many years, to investigate the meaning of the name. Names have interesting stories, and they are not always what you would expect. The name of Ilona turned out to be one of those unusual stories, which seems quite appropriate for a somewhat unusual name. Most good baby name books give fairly accurate name meanings and root source of a name. In fact it was a particularly good name book that started me wondering why it listed a different meaning for "Ilona" than many of the more common books I had referenced. People have long attached more than the mere word to names. For many cultures it called out the destiny of the person, or memorialized a significant event of their lives. There have even been secret names that only the clan knew, and though we seem far removed from that today, it remains that people still attach special meaning to themselves through their name. This book is meant to give background on a very large number of names for those interested in that information. What's Helen Got To Do With It? Almost every baby name book will say that the name 'Ilona' comes from the name 'Helen'. Helen is a Greek name originally, and the Russian form of Helen is Elena. When you hear it pronounced, it sounds very much like Hungarian pronunciation of Ilona. That linguistic phenomena is called a cognate. The dictionary tells us: "Linguistics descended from the same language or form: such cognate languages as French and Spanish". A cognate word: The English word water is a cognate of German wasser. In fact, the two languages have many cognate words with each other. In the same way the Ugaric family of languages have this type of cognate links between them. The trouble with that idea, for me, was the fact that Hungarian is such a different language group from the Greek. That, along with originations of the name "Ilona" which come from the Eastern hordes (from evidence and Hungary's own stories), and not from later influence from European territories and languages. Besides that, I found that Finns, a language group that is supposed to have some distant relation to Hungarian (see the link on Ugaric languages) also traditionally has the feminine name, Ilona . That triggered a desire to investigate further this family and cultural infused name of mine. The old name book that I had read, back in 1967 (far enough back in time that I could not remember the name, or relocate it), had given the name meaning as "Beautiful Spinner". I had latched on to that as an intriguing name meaning. It was very different from the usual "Bright Light" or "torch" of Helen which was given in most name books. The question for me was "Where did the spinner part come from?" "Why was the term "Beautiful" connected with "Ilona" in the old fairy myths of Hungary? I followed a path that led to the "fairy" legends of Tunder Ilona, who was the Hungarian Queen of Fairies. I also took a look, not a scholarly one, but based on my own conjecture of the meaning of root words common to some of the languages related to Hungarian. It is simply guesswork and nothing else, so I don't know if there is any accidental accuracy or not! One trivia fact I found was that often fairies were connected with the chore of spinning. This was true in the myths of a number of cultures. More well known is the way fairies are thought to spoil milk if offended. Fate, fairies, and spinning or weaving are all interconnected in the early tales that people used to explain events and influences that impacted their daily lives. Spinning was a woman's particular duty in many cultures, and a very important one. Fairy tales which still contain elements of the importance of spinning; two tales including the interference of fairies are Rumpelstiltskin and Sleeping Beauty. In many tales fairies come to help the spinner do their work. Their help often held an unpleasant price to pay, and so the women were forced to find a way to trick the fairy folk to leave. Such stories, I believe, would have been the source for Tunder Ilona- the fairy named Ilona and spinning. Of course, she was beautiful as most fae women were, which is the beginning of another story, one of the power of a beautiful woman and the cautionary tales about such things. That thread is where the author of an old name book was likely to have derived the meaning for the Hungarian form of Ilona, at least in my telling of the story. 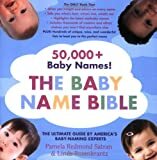 This has more names than any other baby name book I've come across. In Hungary, the name Ilona is celebrated as a Name Day on August 18th. A name day or days to celebrate the baby name Ilona, consisting of Catholic church Saint Days and Feast Days for Saints. Finnish ilona "as a joy", as in Tämä lapsi on meille ilona : "This child is a joy to us". To make a long story short, (although you can read the long story, here) I found that the most likely meaning of the word Ilona was the combination of the suffix -na and the root word "ilo". From what I could piece together in the related languages. 1. joy, delight, happiness, pleasure. There is a word, the root "ilo" in the essive case, which is translated "as a delight". Ãl, Ãla, Ãli = to carry; deliver; carrier; etc. -Sumerian. If you study fragrance you know that certain parts of the perfume ingredients are carriers of the other essences which comprise the fragrance. It is that idea that I began to see within the roots words for the name Ilona. Finns celebrate the 9th of October as a Name Day for the name Ilona. ... an odd assortment of women named 'Ilona' who I find interesting. Ilona Zrínyi spent her life fighting for Hungarian freedom, as wife to Ference Rákóczi I and then to Imre Thókóly. She was the mother of Ference Rákóczi II. Vlad the Impaler married Ilona Szilágyi, a cousin of King Matthias, and in the years before his final release in 1474, lived with her in a house in the Hungarian capital. She bore him two children. Is Ilona Your Name, Too? It is not in the top 1000 names in the USA, see if yours is, here. Ilona is used as a first name 77.14% of the time and as a middle name it is used 22.86% of the time. One in every 20,063 Americans is named this.